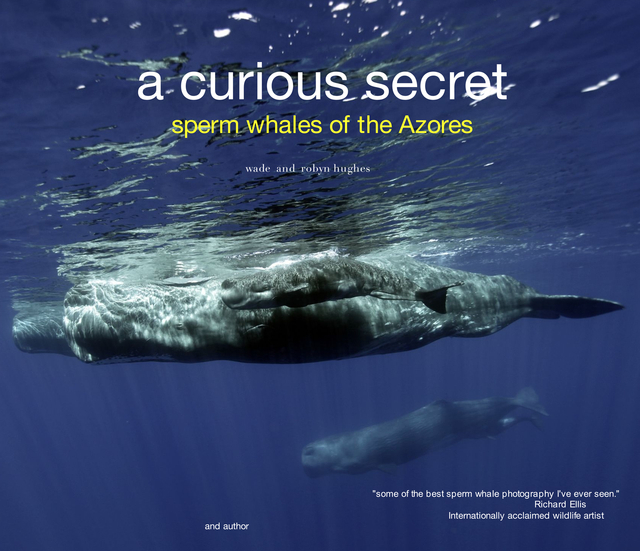 A Curious Secret is a captivating anthology of historical and contemporary writings about the magical and mythical islands of the Azores, combined with the authors' photographs that reveal intriguing glimpses into the secret lives of sperm whales - the world's largest toothed predators. Wade Hughes is a Member of the Explorers Club and a Fellow of the Royal Geographical Society. He has authored nine books including "Whales of Sao Marco", "Thirteenth Beach" and most recently, "The Judas Reef". He has dived extensively round the world from the Arctic Circle and the Southern Ocean, to the equatorial tropics. Robyn is an accomplished diver and photgrapher who began her international travels as a teenager. She took up writing and photography after a career in banking, and, with Wade, has since visited more than 50 countries.